The anticipated subclass 870 Sponsored Parent (Temporary) Visa will be available from 17 April 2019. The new visa allow parents of migrants in Australia to visit their family on a temporary basis for up to 10 years. Under the new visa, parents of migrants would be able to choose between a three-year visa that comes at a cost of $5,000 and a five-year visa with a $10,000 fee. There will be an opportunity for a single renewal with the number of visas subject to an annual cap of 15,000. Minister for Immigration, Citizenship and Multicultural Affairs David Coleman said the new visa demonstrates the Government’s commitment to migrant communities. “This new visa will help families reunite and spend time together,” Mr Coleman said. “It will provide a new pathway for parents and grandparents to visit their families in Australia, which will deliver great social benefits to the Australian community. 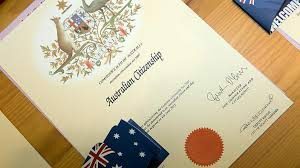 To be eligible for the visa, a parent must be the biological, adoptive, or step-parent of the sponsor, who must be an Australian citizen, Australian permanent resident, or eligible New Zealand citizen. Only two parents can be sponsored for this visa at a time. The child will act as a financial guarantor for the time their parents remain in Australia. This means the child is legally responsible for any debts to taxpayers as a result of any medical emergencies. “This new visa will ensure family reunions are possible for many migrant families across Australia, while protecting taxpayers with strict guidelines to ensure all public health debts including hospital and aged care fees are recovered by the Australian Government,” Mr Coleman said. If you and your parents would be interested in applying for this visa or check all the other possibilities, we suggest contact us by email. You can also follow us on Facebook to be always up to date about Australian visas and culture. To be eligible for a TSS visa, the applicant must have at least 2 years of work experience. This would need to be in the nominated occupation or “related field”. It was possible to apply for a 457 visa with no work experience, providing you hold a relevant qualification. This would mean that people without work experience would not be eligible for a TSS visa – for example international students. For the Short Term Stream, the English requirements are the same as for the 457 visa – that is an average of 5 in the IELTS, with no scores under 4.5 in any of the 4 bands. A range of alternative English tests are also accepted as per the 457 visa. For the Labour Agreement stream, the requirement is less strict – applicants must show they have the English language skills to perform the occupation, without reference to formal English testing. I Have an Adult Child – How Long will the TSS Visa be Valid for? If you are including a child in your TSS application, the visa will only be valid until the child’s 23rd birthday. For a 457 visa, the visa could in some case be valid after the child’s 23rd birthday. Yes – you can use an existing Standard Business Sponsorship to apply for TSS Nominations and Visa Applications. Labour Market Testing must be conducted in the occupation within the last 12 months to meet TSS requirements – similar to the 457 requirement. From 18 June 2018, this must have been conducted within the last 6 months before application. When sponsoring for 457 visas, employers need to be aware of potentially significant sponsorship obligations which apply. Failure to comply with these obligations can result in cancellation of an existing sponsorship, refusal of a sponsorship renewal, fines and possibly court action. Employers must meet 457 training benchmarks for each 12 month period following approval as a business sponsor. Employees must either be paid at least $250,000 or a market rate salary determined by conditions which would apply to Australian citizens or permanent residents. The employer must pay the cost of return travel for 457 visa holders if properly requested. This obligation would cover the cost of detection and removal incurred by the Commonwealth if the 457 visa holder overstays their visa. It only covers costs incurred between when the person becomes illegal and when they leave Australia. If return costs have already been paid by the employer, then only the difference between this and the actual cost is payable. A maximum limit of $10,000 is applicable for this obligation. The employer must notify the Department of Immigration of certain events via registered post or electronic mail to specified address which depends where the sponsorship application was processed by the Department of Immigration. Ceases: grant of further visa, grant of nomination for new employer or permanent departure From 14 December 2015 it is unlawful for individuals to pay an employer to sponsor them for a visa. This would include situations where the individual directly pays the employer, or a deduction is made from their salary, or the individuals provides any other benefit to the employer. It will result in visa refusal, visa cancellation, fines and even imprisonment. 20 Oct Important news for citizenship! The laws for citizenship have not passed in Parliament! Now its the right time to apply for Citizenship! The TSS visa has a short-term stream and a medium-term stream. Applicants with occupations on the Short-Term Skilled Occupations List (STSOL) are eligible for visas of up to two years (renewable once, for a further two years), whilst those on the Medium and Long-Term Strategic Skills List (MLTSSL) can apply for up to four years (with eligibility for permanent residency after three years). The TSS sponsorship fee will be $420, the same as current 457 sponsorship fee. The Skilling Australia Fund levy (SAF) will replace the current training benchmarks for employers sponsoring applicants for Subclass 457 and Subclass 186 visas. We do not yet have an occupation ceiling for the ICT Security Specialist Occupation – this would appear to be an oversight. Legislative Amendment – F2017L00549 – Migration Legislation Amendment (2017 Measures No. 2) Regulations 2017 – abolishes the outgoing passenger card. Travellers departing Australia will no longer be required to complete the outgoing passenger card, as this information can now be collected by other means. This instrument comes into effect from 1 July 2017. Legislative Amendment – F2017L00549 – Migration Legislation Amendment (2017 Measures No. 2) Regulations 2017 – lowers the upper age limit at invitation for Subclass 189 Skilled Independent, Points Tested stream applicants to 45 years old. Schedule 1, subitem 1137 (4B), item (4) lowers the age at the time of invitation to apply for a points tested stream visa to 45 years. Schedule 3 of this instrument provides transitional arrangements. The amendments made by Schedule 1 of this instrument apply only to applications made on or after 1 July 2017.